The most extensive LRT project in Calgary history is moving ahead. On Wednesday, Rachel Notley signed an official funding agreement with Calgary Mayor Naheed Nenshi, signaling a major expansion of Calgary’s transit system. The agreement marks a major step in a 46-kilometre project that will eventually nearly double the reach of Calgary’s LRT system. Construction alone is expected to create more than 12,000 direct jobs and over 8,000 supporting jobs, including engineering, planning and administration. The new line will connect communities from 16th Avenue North through the downtown core to Shepard in the southeast. 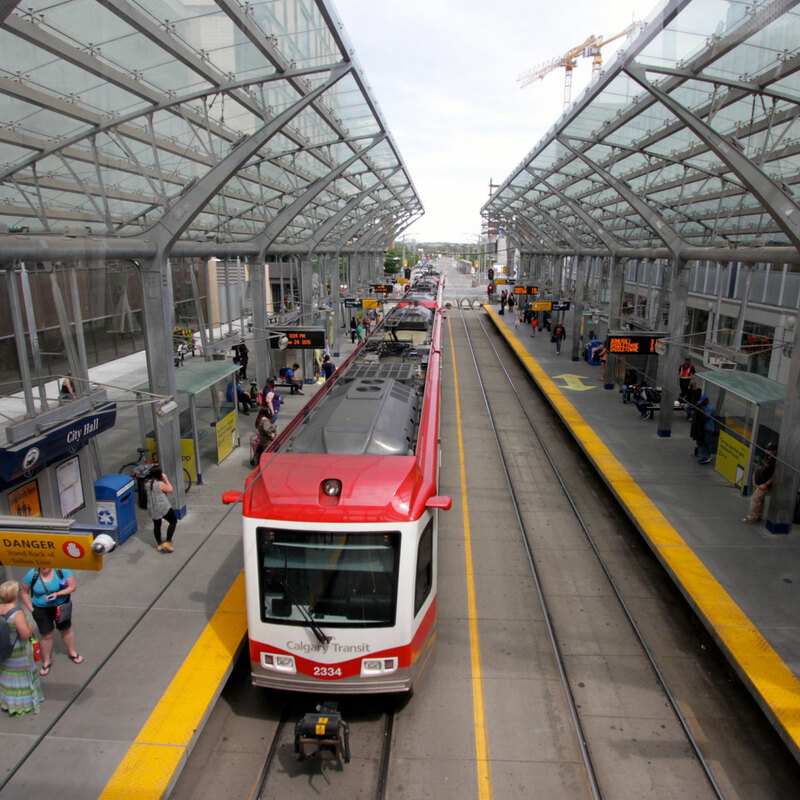 It is expected to keep more than 60,000 Calgarians connected to the transit system, adding support for transit-oriented developments. The agreement will see the province provide up to $1.53 billion over the next eight years to support the first stage of the project. The Green Line is part of the Climate Leadership Plan, Notley’s plan to reduce pollution and reinvest money to grow and diversify Alberta’s economy. While the plan gives money back to most Alberta households and encourages energy efficiency measures, it also funds critical infrastructure projects like the Green Line. The first stage of the expansion will reduce emissions by 30,000 tonnes every year, equal to taking 6,000 vehicles off the road. With an election around the corner, questions have dogged Jason Kenney about how he plans to fund the project. Kenney has promised a $700 million tax cut for the richest Albertans, vowed to cancel climate leadership, gearing up to fight Ottawa over any steps to mitigate climate change. A Calgary pollster told Global News last week that it raises questions about how Kenney will be able hold his positions without “negative ramifications” for projects like the Green Line. While Kenney has occasionally taken credit for the project, he has also expressed his dissatisfaction with current Green Line plans, then said it will go ahead. Nenshi has described Kenney’s remarks as “very Trumpian,” warning that the implications of slashing the Climate Leadership Plan will be very real.